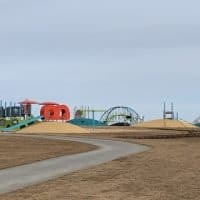 Park Features: Half court, huge hill that is great for tobogganing, pathways, picnic shelters, bbq areas, tandoori oven and tables, pathways, trails and fitness stations. 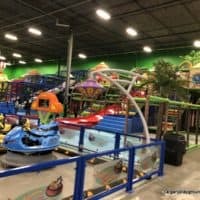 Playgrounds: There is a water park with large wading pool with a lazy river and spray park with a natural playground nearby on the North side of the park and an accessible playground on the South side of the park. 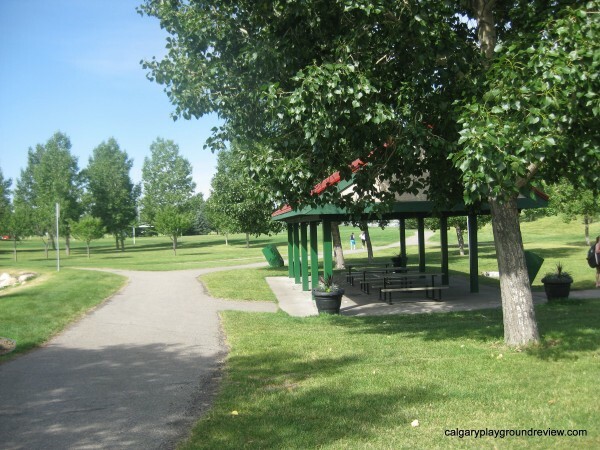 Picnic Areas: There are three covered picnic areas in the south central area of the park. 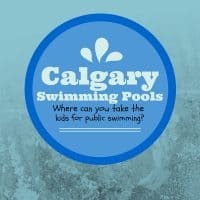 These can be booked through the city of Calgary website. 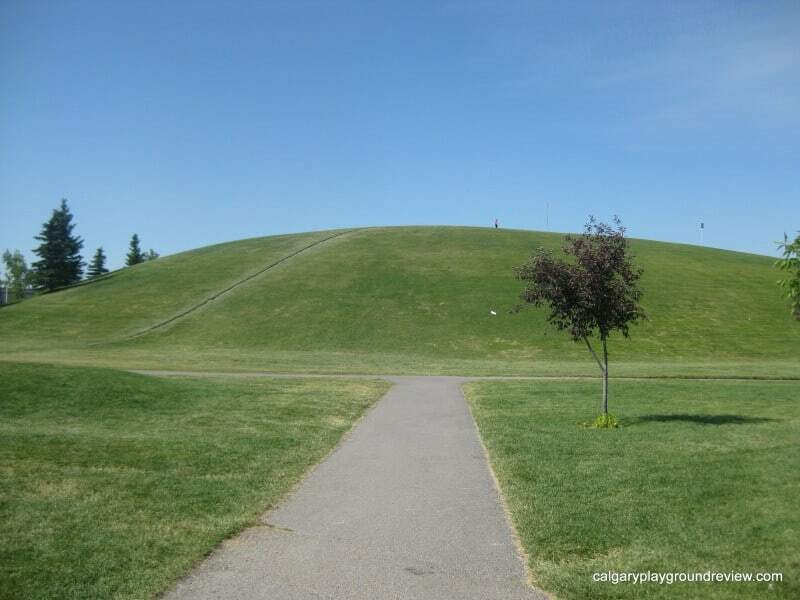 Overall: Prairie Winds is one of North East Calgary’s largest recreational parks. It is a beautiful park with lots of trees and green space. 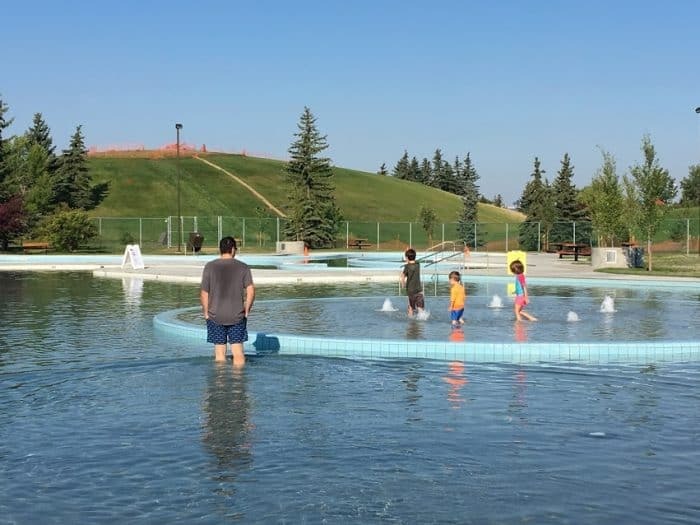 The most popular attraction is the spray park (new 2015) and wading pool (new 2017). It is completely free to access. The most dominating feature is the huge hill. The though I tried, the picture doesn’t do justice to how big it really is. Depending on the wind patterns it can be a really great spot to watch airplanes. They can come so close it feels like you could reach out and touch them. In the Winter it is one of Calgary’s official toboggan hills. At the bottom of the hill, beside the water park is the new natural playground. 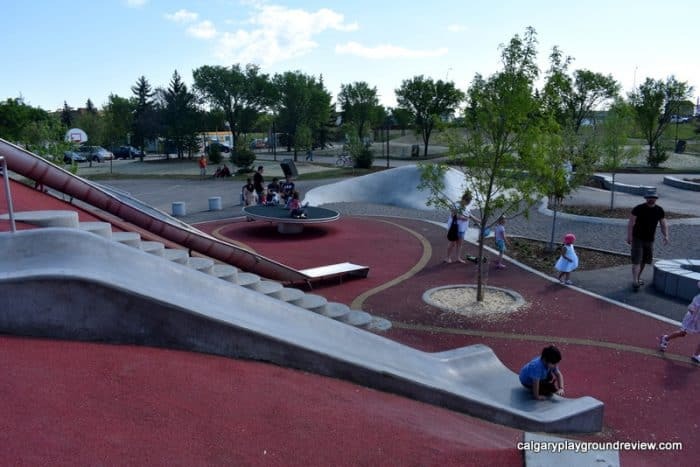 In 2012, a new accessible playground was installed. 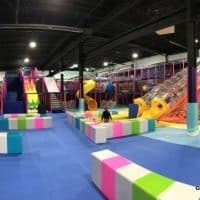 It’s a very popular spot with great equipment. 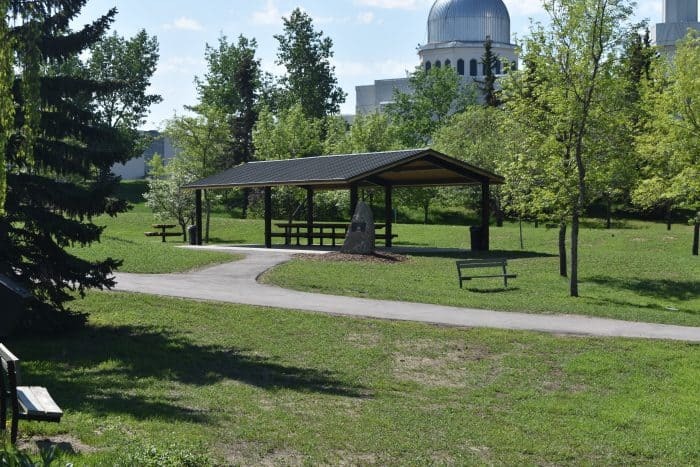 On the far west side of the hill is a gazebo and Grant MacEwan grove where 90 trees were planted in honor of Grant MacEwan’s 90th birthday when the park opened in 1990. The park now has three covered picnic areas. Including one near the south playground.